The firm is pleased to welcome two new associates, Samuel Moss and Michel Mitzicos-Giogios. 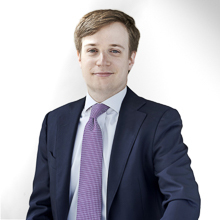 Mr Moss has studied law at McGill University in Montreal and is certified for admission in New York. He is a former legal counsel at the Permanent Court of Arbitration in The Hague. Mr Moss joins our international dispute resolution team. He is an M.I.S. (International Law) candidate at the Graduate Institute of International Studies in Geneva. Mr Mitzicos-Giogios is a Swiss qualified attorney and holds an LL.M in international humanitarian law and an LL.M in European law and international economic law. He has been a trainee at the Court of Justice of Geneva and will practice in most of our core areas, primarily in domestic litigation, corporate commercial law and criminal law. We wish them all the best in their career at LALIVE.